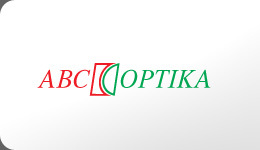 ABCOPTIKA was created when two optometrists, who have prolonged work experience and are educated in different optometry colleges, put together their knowledge and competence to offer that knowledge to You. We help to understand the world of optics, which may seem much more complicated than it is. We help to find new spectacles, sunglasses or contact lenses for You. We check Your vision. If necessary and possible we also regulate Your existing glasses. We expect You to come visit, so You can get to know us better and to check out the prices.